Keto Noodles Recipe - Low Carb "Singapore Stir Fry" - EASY to Make Taste of Asia! 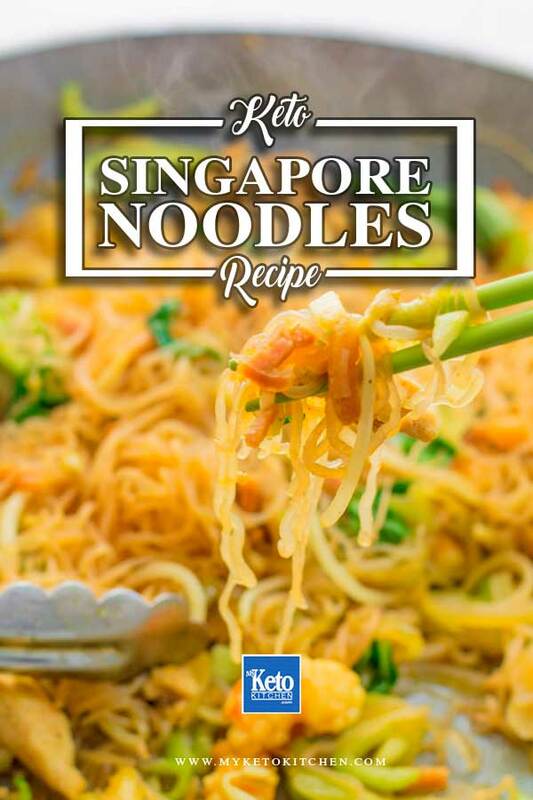 Home » Recipes » Keto Noodles Recipe – Low Carb “Singapore Stir Fry” – EASY to Make Taste of Asia! Keto Noodles Recipe – Low Carb “Singapore Stir Fry” – EASY to Make Taste of Asia! 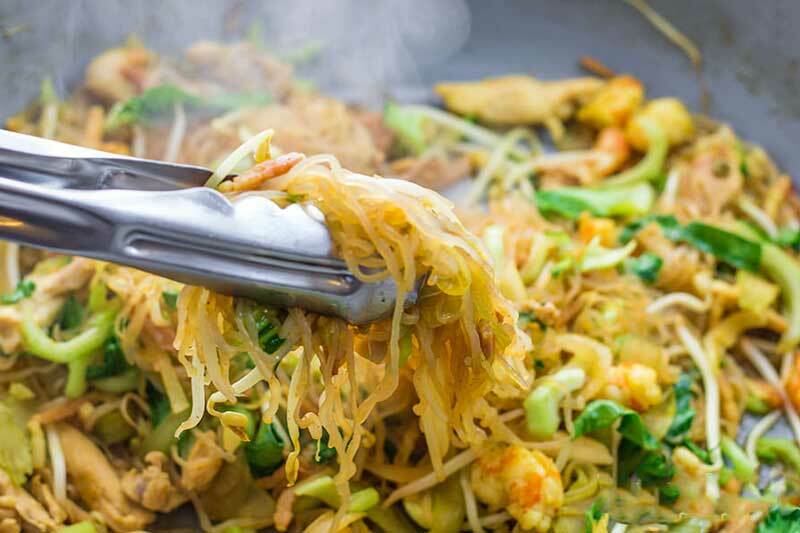 This Low Carb Singapore stir-fry Keto Noodles recipe tastes just like an Asian dish you’d find on a restaurants menu. Asian style Keto noodles recipe is taken from a favorite Singapore stir-fry dish. That, along with this flavorsome low-carb Sugar-Free Sweet Soy & curry powder. I have a fondness for Asian dishes and flavors that has never faltered, this keto noodles recipe is one of my favorite low-carb Asian recipes. The saltiness of our homemade low-carb soy sauce. The crunch of fresh stir-fried vegetables and texture of the keto friendly konjac noodles makes a delicious low-carb stir-fry. 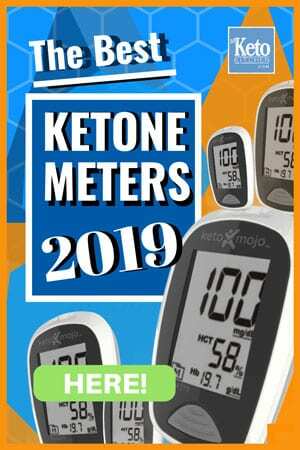 This keto noodles recipe makes 2 serves of stir fry and is great reheated the following day. 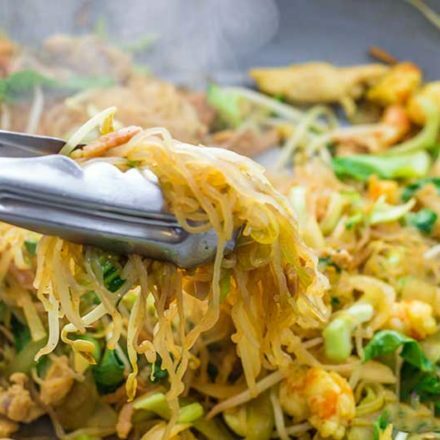 This delicious Singapore style Keto noodles recipes taste just like an Asian dish that you’d find on any menu. Easy to make for dinner and very low-carb. Prepare the Konjac Noodles by placing them into a colander and running hot water over them for 3 minutes. Leave to drain well. Prepare the remaining ingredients and have them ready to throw in quickly. Add the sesame oil to a wok or a large non-stick frying pan over high heat. Add the bacon and saute for 1 minute. Add the chicken and saute for 2-3 minutes, until browned all over. Add the onion & garlic and saute for 2 minutes, stirring well. Next, add the celery, prawns and curry powder and stir well. Push the ingredients to the sides of the pan leaving a space in the centre, add the drained konjac noodles and stir the ingredients together. Saute for 2 minutes before adding the Sugar-Free Sweet Soy Sauce. Add the bok choy and bean sprouts and toss through, ensure all ingredients are covered in the sauce. Continue cooking for 1-2 minutes until the bok choy has softened slightly. How To Make Keto Noodles – Low-Carb Singapore Stir Fry. 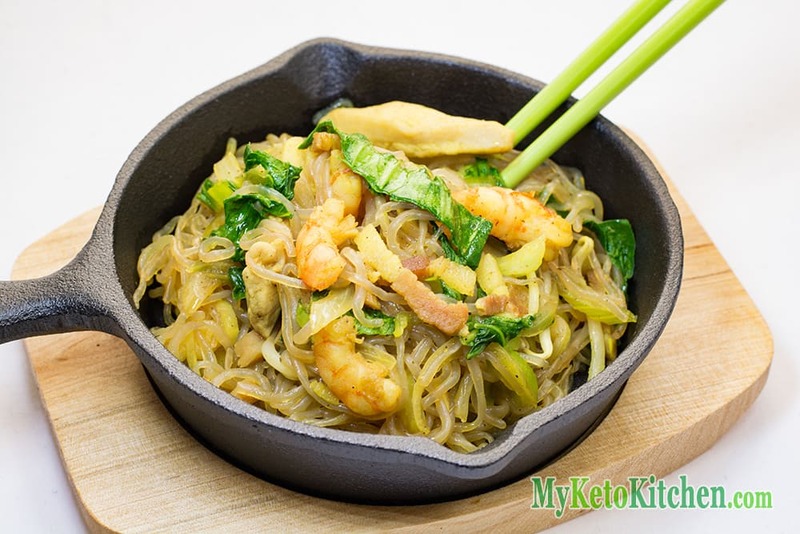 Delicious Konjac, Bacon, shrimp & chicken combine to make this Tasty Singapore "Stir Fry" Noodles so great. Very Easy To Make! Quickly at the ingredients to a wok with a splash of Soy Sauce. Saute for 2 minutes before adding the Sugar Free Sweet Soy. 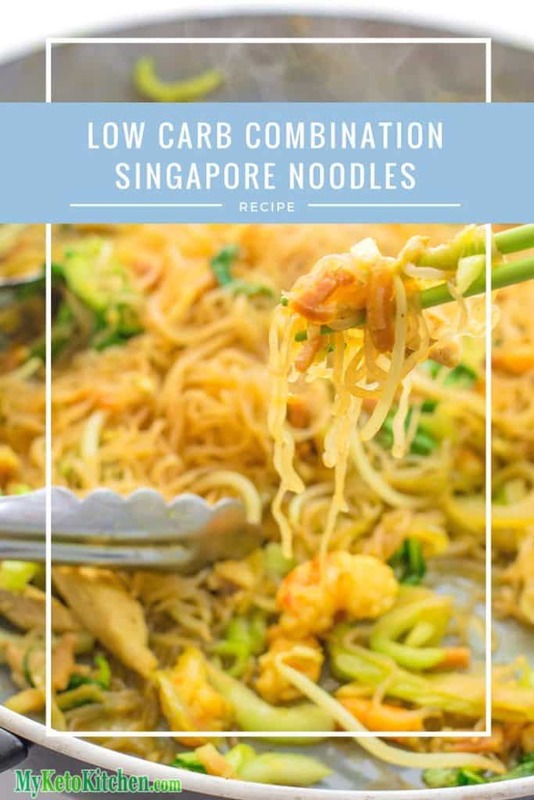 To make a larger batch of this low-carb Singapore Stir Fry Keto Noodles recipe simply adjust the servings above. Keto Vindaloo Pork Curry – “Spicy” Indian Recipe – Make it Mild or HOT! Hey quick question! The nutritional value at the bottom would be for half the batch as the batch makes 2 serving right?